Enjoy the cheerful faces of spring tulips for even longer with our Long-Stemmed Tulips Mixture. Carefully selected for their vigour and long bloom times, this mix of Dutch tulip bulbs includes early, mid and late season bloomers so the waves of colour go on and on. 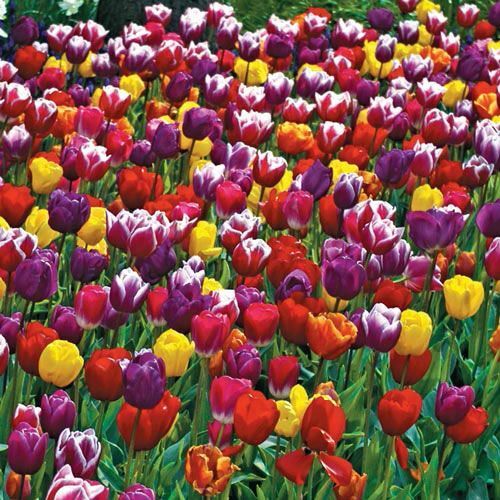 Presenting the classic cup shaped blossoms that Dutch tulip flowers are famed for, this assortment includes a rainbow of bright jewel tones, including classic ruby reds, amethyst purples, blazing yellows and multi-coloured varieties. Plant your Dutch tulip bulbs in the fall, before the first frost hardens the soil. These long stemmed 18- to 24-inch beauties are easy to care for--just provide them with well drained clay, loamy or sandy soil in an area of full to partial sun. 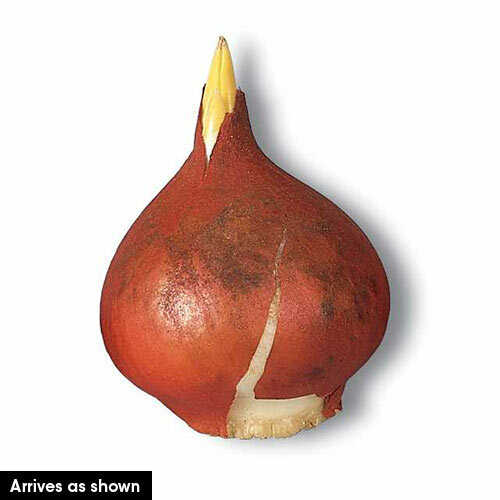 Place the bulbs about 6 inches deep and 3 to 6 inches apart. These perennials may want some light feeding after their first blooming season. Flowering tulips are a delightful way to welcome spring in any garden setting. Create an explosion of colour in cottage gardens with tightly packed beds, or space them in orderly rows for a formal look. They are equally suited to container planting, and brighten a doorstep or patio beautifully. Invite spring indoors with vases of this long-stemmed tulip mixture, which will bloom from winter's last breath to summer's warm breezes.